Winter maintenance operations are crucial for pedestrian and motorist safety and public mobility on urban streets and highways in cold regions, especially during winter storms. This study provides a comprehensive literature review of existing deicing technologies, with emphasis on electrical resistance-heating deicing technologies for possible applications in areas with concentrated traffic, such as street intersections and crosswalks. A thorough review of existing and emerging deicing technology for snow/ice melting was conducted. The performance of various deicing methods was evaluated and the installation and operation cost of the electrical resistance-heating methods compared. Finally, current state of the practice of intersection/crosswalk winter maintenance was surveyed among state departments of transportation in North America. The intersection/crosswalk winter maintenance procedure adopted by the State of Alaska Department of Transportation and Public Facilities was described, and the annual winter maintenance and operation cost per intersection was estimated. It was found that the annual energy cost of an electrical resistance-heating method such as the carbon-fiber-tape deicing technology is about the same as the average annual maintenance and operation cost of current practice. In addition, an automatic electrical resistance-heating deicing system will bring benefits such as minimized delay time and improved safety for pedestrian and vehicular traffic in an urban application. After the construction of Qinghai-Tibet Highway and Railway, the Qinghai-Tibet Power Transmission (QTPT) line is another major permafrost engineering project with new types of engineering structures. The changing process and trend of ground temperature around tower foundations are crucial for the stability of QTPT. We analyzed the change characteristics and tendencies of the ground temperature based on field monitoring data from 2010 to 2014. The results reveal that soil around the tower foundations froze and connected with the artificial permafrost induced during the construction of footings after the first freezing period, and the soil below the original permafrost table kept freezing in subsequent thawing periods. The ground temperature lowered to that of natural fields, fast or slowly for tower foundations with thermosyphons, while for tower foundations without thermosyphons, the increase in ground temperature resulted in higher temperature than that of natural fields. Also, the permafrost temperature and ice content are significant factors that influence the ground temperature around tower foundations. Specifically, the ground temperature around tower foundations in warm and ice-rich permafrost regions decreased slowly, while that in cold and ice poor permafrost regions cooled faster. Moreover, foundations types impacted the ground temperature, which consisted of different technical processes during construction and variant of tower footing structures. The revealed changing process and trend of the ground temperature is beneficial for evaluating the thermal regime evolution around tower foundations in the context of climate change. In this paper, based on the basic equations of water flow and heat transfer, the hydrothermal coupling model is established. The numerical model was realized in COMSOL Multiphysics software, and simulation results are compared with the experimental results of Watanabe and Wake (2008) to verify the effectiveness of the model. Through the calculation, we can obtain the dynamic changes of heat and water fluxes, thermal and hydrological properties, matric potential and temperature gradient in unsaturated freezing soil; and these variables are unmeasurable in practice. The Hexi Inland River Basin in an arid region of northwestern China was chosen as the study area for this research. The authors define the vulnerability of an oasis social-ecological system to glacier change; select 16 indicators from natural and socioeconomic systems according to exposure, sensitivity, and adaptive capacity; and construct a vulnerability-assessment indicator system aimed at an inland river basin in the arid region of Northwestern China. Vulnerability of the oasis social-ecological system affected by glacier change in the study area is evaluated by Spatial Principal Component Analysis (SPCA) under the circumstance of glacier change. The key factors affecting the vulnerability are analyzed. The vulnerability of the oasis social-ecological system in the Hexi Inland River Basin affected by glacier change is of more than medium grade, accounting for about 48.0% of the total number of counties in the study area. In terms of the spatial pattern of the vulnerability, the oasis economic belt is the most vulnerable. With the rapid development of the area's society and economy, the exposure of the system to glacial changes is significantly increased; and an increase in glacial meltwater is not enough to overcome the impact of increased exposure, which is the main reason for the high vulnerability. Based on the result of the vulnerability analysis and combined with the present industrial structure in the Hexi Inland River Basin, near-, medium-, and long-term adaptation initiatives are put forward in the article. Data on accumulation and concentration of chemical compounds recorded in an essentially unexplored area (Dome Argus) of the Indian Ocean sector of eastern Antarctica during the past 2,680 years (680 B.C. to 1999 A.D.) are presented. During the first 1,700 years (680 B.C. to 1000 A.D.), the accumulation data shows a slightly decreasing trend, while chemical ions appear to be stable, representing a stable climatic condition. An intensive increasing trend of the accumulation occurred during the 12th to 14th century. The period from 15th to 19th century was characterized by a rapid reducing accumulation and concentrations of volatile compounds suffering post-depositional loss linked to sparse precipitation amount, which was temporally consistent with the Little Ice Age (LIA) episode. Comparison between observed accumulation rates with other eastern Antarctic ice cores show a consistent decreasing trend during LIA, while sea salt and dust-originated ions increased due to sea ice extent and intensified atmospheric transportation. Distribution of volcanic originated sulfate over the Antarctic continent show a significant change during the 15th century, coincident with the onset of the LIA. These results are important for the assessment of Antarctic continent mass balance and associated interpretation of the Dome A deep ice core records. Groundwater is a key factor controlling the growth of vegetation in desert riparian systems. It is important to recognise how groundwater changes affect the riparian forest ecosystem. This information will not only help us to understand the ecological and hydrological process of the riparian forest but also provide support for ecological recovery of riparian forests and water-resources management of arid inland river basins. This study aims to estimate the suitability of the Water Vegetation Energy and Solute Modelling (WAVES) model to simulate the Ejina Desert riparian forest ecosystem changes, China, to assess effects of groundwater-depth change on the canopy leaf area index (LAI) and water budgets, and to ascertain the suitable groundwater depth for preserving the stability and structure of desert riparian forest. Results demonstrated that the WAVES model can simulate changes to ecological and hydrological processes. The annual mean water consumption of a Tamarix chinensis riparian forest was less than that of a Populus euphratica riparian forest, and the canopy LAI of the desert riparian forest should increase as groundwater depth decreases. Groundwater changes could significantly influence water budgets for T. chinensis and P. euphratica riparian forests and show the positive and negative effects on vegetation growth and water budgets of riparian forests. Maintaining the annual mean groundwater depth at around 1.7?2.7 m is critical for healthy riparian forest growth. This study highlights the importance of considering groundwater-change impacts on desert riparian vegetation and water-balance applications in ecological restoration and efficient water-resource management in the Heihe River Basin. Biological soil crusts (BSCs) play important roles in the carbon (C) balance in arid regions. Net C balance of BSCs is strongly dependent on rainfall and consequent activation of microbes in the BSCs. The compensation-rainfall size for BSCs (the minimum rainfall amount for a positive net C balance) is assumed to be different with BSCs of different developmental stages. A field experiment with simulated rainfall amount (SRA) of 0, 1, 5, 10, 20, and 40 mm was conducted to examine the C fluxes and compensation-rainfall size of BSCs in different parts of fixed dunes in the ecotone between the Badain Jaran Desert and the Minqin Oasis. We found algae?lichen crust on the interdunes and crest, algae crust on the leeward side, and lichen?moss crust on the windward. Even a small rainfall (1 mm) can activate both photosynthesis and respiration of all types of BSCs. The gross ecosystem production, ecosystem respiration, and net ecosystem exchange were significantly affected by SRA, hours after the simulated rainfall, position on a dune, and their interactions. The rapid activation of photosynthesis provides a C source and therefore could be responsible for the increase of C efflux after each rewetting. C-uptake and -emission capacity of all the BSCs positively correlated with rainfall size, with the lowest C fluxes on the leeward side. The compensation rainfall for a net C uptake was 3.80, 15.54, 8.62, and 1.88 mm for BSCs on the interdunes, the leeward side, the crest, and the windward side, respectively. The whole dune started to show a net C uptake with an SRA of 5 mm and maximized with an SRA of about 30 mm. The compensation-rainfall size is negatively correlated with chlorophyll content. Our results suggest that BSCs will be favored in terms of C balance, and sand dune stabilization could be sustained with an increasing frequency of 5?10 mm rainfall events in the desert?oasis transitional zone. The extensive debris that covers glaciers in the ablation zone of the Himalayan region plays an important part in regulating ablation rates and water availability for the downstream region. The melt rate of ice is determined by the amount of heat conducted through debris material lying over the ice. This study presents the vertical temperature gradients, thermal properties in terms of thermal diffusivity and thermal conductivity, and positive degree-day factors for the debris-covered portion of Lirung Glacier in Langtang Valley, Nepal Himalaya using field-based measurements from three different seasons. Field measurements include debris temperatures at different debris thicknesses, air temperature, and ice melt during the monsoon (2013), winter (2013), and pre-monsoon (2014) seasons. We used a thermal equation to estimate thermal diffusivity and thermal conductivity, and degree-day factors (DDF) were calculated from cumulative positive temperature and ice melt of the measurement period. Our analysis of debris temperature profiles at different depths of debris show the daily linear gradients of ?20.81 °C/m, 4.05 °C/m, and ?7.79 °C/m in the monsoon, winter, and pre-monsoon seasons, respectively. The values of thermal diffusivity and thermal conductivity in the monsoon season were 10 times greater than in the winter season. The large difference in these values is attributed to surface temperature and moisture content within the debris. Similarly, we found higher values of DDFs at thinner debris for the pre-monsoon season than in the monsoon season although we observed less melting during the pre-monsoon season. This is attributed to higher cumulative temperature during the monsoon season than in the pre-monsoon season. Our study advances our understanding of heat conductivity through debris material in different seasons, which supports estimating ice melt and discharge from glacierized river basins with debris-covered glaciers in the Himalayan region. Understanding the variation in a plant's water sources is critical to understanding hydrological processes in water-limited environments. Here, we measured the stable-isotope ratios (δ18O) of xylem water of Caragana microphylla, precipitation, soil water from different depths, and groundwater to quantitatively analyze the proportion of water sources for the shrub. We found that the water sources of C. microphylla differed with the plant's ages and the seasons. The main water source for young shrubs was upper-soil water, and it showed significant changes with seasonal precipitation inputs. In summer, the proportion contributed by shallow water was significantly increased with increased precipitation inputs. Then, the contribution from shallow-soil water decreased with the decline in precipitation input in spring and autumn. However, the adult shrubs resorted to deep-soil layers and groundwater as the main water sources during the whole growing season and showed much less seasonal variation. We conclude that the main water source of the young shrubs was upper-soil water and was controlled by precipitation inputs. However, once the shrub gradually grew up and the roots reached sufficient depth, the main water sources change from the upper-soil layer recharged by precipitation to deep-soil water and groundwater, which were relatively stable and abundant in the desert ecosystem. These results also suggest that desert shrubs may be able to switch their main water sources to deep and reliable water sources as their age increases, and this adjustment to water availability carries significant importance for their acclimation to the desert habitat. 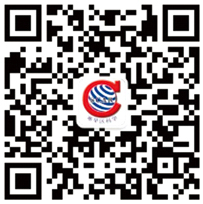 Soil calcium carbonate (CaCO3) has a strong solid phosphorus effect, and high content of CaCO3 can significantly reduce the effectiveness of soil phosphorus. To reveal the limiting effect of soil CaCO3 on the growth of plants on sand land and its mechanism of plant physiology, we performed pot experiments with a two-factor randomized block design and a three-factor orthogonal design for different soil CaCO3 content treatments using Artemisia ordosica seedlings. In the experiments, we surveyed plant height, aboveground biomass, root length and root weight and analyzed N, P concentrations and RNA content of the seedlings, and discussed the relationships between relative growth rate (RGR) of the seedlings and N:P ratio as well as RNA. Results show that, the RGRs of plant height and above-ground biomass of the seedlings decreased significantly with the increase of soil CaCO3 content, and those for root length and root weight decreased. The RGRs of plant height and above-ground biomass of the seedlings were significantly negatively correlated with leaf N:P ratios, but significantly positively correlated with leaf RNA content and leaf P concentrations. It can be seen that soil CaCO3 is a stress factor for the growth of A. ordosica seedlings, and the growth response of the seedlings under the influence of soil CaCO3 is in line with the Growth Rate Hypothesis. Lakes regulate the water and heat exchange between the ground and the atmosphere on different temporal and spatial scales. However, studies of the lake effect in the high-altitude Tibetan Plateau (TP) rarely have been performed until recently, and little attention has been paid to modelling of frozen lakes. In this study, the Weather Research and Forecasting Model (WRF v. 3.6.1) is employed to conduct three numerical experiments in the Ngoring Lake Basin (the original experiment, an experiment with a tuned model, and a no-lake experiment) to investigate the influences of parameter optimization on the lake simulation and of the high-altitude lake on the regional climate. After the lake depth, the roughness lengths, and initial surface temperature are corrected in the model, the simulation of the air temperature is distinctly improved. In the experiment using a tuned model, the simulated sensible-heat flux (H) is clearly improved, especially during periods of ice melting (from late spring to early summer) and freezing (late fall). The improvement of latent-heat flux (LE) is mainly manifested by the sharp increase in the correlation coefficient between simulation and observation, whereas the improvement in the average value is small. The optimization of initial surface temperature shows the most prominent effect in the first year and distinctly weakens after a freezing period. After the lakes become grassland in the model, the daytime temperature clearly increases during the freezing and melting periods; but the nocturnal cooling appears in other stages, especially from September to October. The annual mean H increases by 6.4 times in the regions of the Ngoring Lake and the Gyaring Lake, and the LE declines by 56.2%. The sum of H and LE increases from 71.2 W/m2 (with lake) to 84.6 W/m2 (no lake). For the entire simulation region, the sum of H and LE also increases slightly. After the lakes are removed, the air temperature increases significantly from June to September over the area corresponding to the two lakes, and an abnormal convergence field appears; at the same time, the precipitation clearly increases over the two lakes and surrounding areas. Although temperature extremes have led to more and more disasters, there are as yet few studies on the extremes and many disagreements on temperature changes in Antarctica. Based on daily minimum, maximum, and mean air temperatures (Tmin, Tmax, Tmean) at Great Wall Station (GW) and Zhongshan Station (ZS), we compared the temperature extremes and revealed a strong warming trend in Tmin, a slight warming trend in Tmean, cooling in Tmax, a decreasing trend in the daily temperature range, and the typical characteristic of coreless winter temperature. There are different seasonal variabilities, with the least in summer. The continentality index and seasonality show that the marine air mass has more effect on GW than ZS. Following the terminology of the Fifth Assessment Report of the Intergovernmental Panel on Climate Change (IPCC AR5), we defined nine indices of temperature extremes, based on the Antarctic geographical environment. Extreme-warm days have decreased, while extreme-warm nights have shown a nonsignificant trend. The number of melting days has increased at GW, while little change at ZS. More importantly, we have found inverse variations in temperature patterns between the two stations, which need further investigation into the dynamics of climate change in Antarctica. This article attempts to investigate the measure effect of rubble roadbed engineering in permafrost regions of Qinghai-Tibet Plateau. As a case study, Chaidaer-Muli Railway is used to evaluate the measure effect of rubble roadbed engineering in permafrost regions. The AHP (Analytic Hierarchy Process) method is thus employed to establish the evaluation indicator system. The evaluation factor is selected by analyzing the mutual relation between the permafrost environment and roadbed engineering. Thus, a hierarchical structure model is established based on the selected evaluation indices. Each factor is weighted to determine the status in the evaluation system, and grading standards are built for providing a basis for the evaluation. Then, the fuzzy mathematical method is introduced to evaluate the measure effect of rubble roadbed engineering in permafrost regions along the Chadaer-Muli Railway. Results show that most of the permafrost roadbed is in a preferable condition (b) along the Chaidaer-Muli Railway due to rubble engineering measures. This proportion reaches to 86.1%. The proportion in good (a), general (c) and poor states (d) are 0.0%, 7.5% and 6.4%, respectively, in all the evaluation sections along the Chaidaer-Muli Railway. Ground-temperature monitoring results are generally consistent with AHP-FUZZY evaluation results. This means that the AHP-FUZZY method can be applied to evaluate the effect of rubble roadbed engineering measures in permafrost regions. The effect evaluation of engineering measures will provide timely and effective feedback information for further engineering design. The series of engineering measures will more effectively protect permafrost stability. Most previous research on areas with abundant rainfall shows that simulations using rainfall-runoff modes have a very high prediction accuracy and applicability when using a back-propagation (BP), feed-forward, multilayer perceptron artificial neural network (ANN). However, in runoff areas with relatively low rainfall or a dry climate, more studies are needed. In these areas—of which oasis-plain areas are a particularly good example—the existence and development of runoff depends largely on that which is generated from alpine regions. Quantitative analysis of the uncertainty of runoff simulation under climate change is the key to improving the utilization and management of water resources in arid areas. Therefore, in this context, three kinds of BP feed-forward, three-layer ANNs with similar structure were chosen as models in this paper. Taking the oasis–plain region traverse by the Qira River Basin in Xinjiang, China, as the research area, the monthly accumulated runoff of the Qira River in the next month was simulated and predicted. The results showed that the training precision of a compact wavelet neural network is low; but from the forecasting results, it could be concluded that the training algorithm can better reflect the whole law of samples. The traditional artificial neural network (TANN) model and radial basis-function neural network (RBFNN) model showed higher accuracy in the training and prediction stage. However, the TANN model, more sensitive to the selection of input variables, requires a large number of numerical simulations to determine the appropriate input variables and the number of hidden-layer neurons. Hence, The RBFNN model is more suitable for the study of such problems. And it can be extended to other similar research arid-oasis areas on the southern edge of the Kunlun Mountains and provides a reference for sustainable water-resource management of arid-oasis areas. For estimating the altitude-distribution pattern of carbon stocks in desert grasslands and analyzing the possible mechanism for this distribution, a detailed study was performed through a series of field vegetation surveys and soil samplings from 90 vegetation plots and 45 soil profiles at 9 sites of the Hexi Corridor region, Northwestern China. Aboveground, belowground, and litter-fall biomass-carbon stocks ranged from 43 to 109, 23 to 64, and 5 to 20 g/m2, with mean values of 80.82, 44.91, and 12.15 g/m2, respectively. Soil-carbon stocks varied between 2.88 and 3.98 kg/m2, with a mean value of 3.43 kg/m2 in the 0–100-cm soil layer. Both biomass- and soil-carbon stocks had an increasing tendency corresponding to the altitudinal gradient. A significantly negative correlation was found between soil-carbon stock and mean annual temperature, with further better correlations between soil- and biomass-carbon stocks, and mean annual precipitation. Furthermore, soil carbon was found to be positively correlated with soil-silt and -clay content, and negatively correlated with soil bulk density and the volume percent of gravel. It can be concluded that variations in soil texture and climate condition were the key factors influencing the altitudinal pattern of carbon stocks in this desert-grassland ecosystem. Thus, by using the linear-regression functions between altitude and carbon stocks, approximately 4.18 Tg carbon were predicted from the 1,260 km2 of desert grasslands in the study area. Iron deficiency chlorosis of Lilium davidii var. unicolor is often the case in practice in alkaline soils of northwest region of China. It is difficult to control iron chlorosis because of high cost and short effective work time of conventional iron fertilizers. In this study, a 2-year field experiment was conducted to evaluate the effects of two slow-release fertilizers on the suppression of iron deficiency chlorosis, soil chemical properties, and the yield and quality of L. davidii var. unicolor. Results show that both coated slow-release iron fertilizers and embedded slow-release iron fertilizer effectively controlled iron-deficiency chlorosis. The application of slow-release iron fertilizers significantly increased plant height and chlorophyll content of L. davidii var. unicolor at different growth stages. Furthermore, coated iron fertilizer application significantly increased starch, protein, soluble sugar and vitamin C content of L. davidii var. unicolor, and it also significantly improved total amino acid content, with increases in essential amino acids (Trp, Leu, Lys, Phe, Val, and Thr contents) and in nonessential amino acids (Asp, Glu, Cit, Ihs, Acc, Ala, Pro, and Cys contents). It was concluded that application of coated slow-release iron fertilizer could be a promising option for suppression of iron deficiency chlorosis and deserves further study. Natural resource-management studies have become increasingly attentive to the influences of human factors. Among these, cultural biases shape people's responses to changes in natural resource systems. Several studies have applied grid-group cultural theory to assess the effects of multiple value biases among stakeholders on natural resource management. We developed and administered a questionnaire in the Heihe River Basin (n = 364) in northwestern China to investigate the appropriateness of applying this theory in the Chinese context of natural resource management. The results revealed various cultural biases among the respondents. In descending order of prevalence, these biases were hierarchism (46.98%), individualism (26.65%), egalitarianism (18.96%), and fatalism (2.78%), with the remaining respondents (4.67%) evidencing no obvious bias. Our empirical study revealed respondents' worldviews and the influence of sociodemographic characteristics on cultural biases, as theoretically posited. Among the variables examined, age had a positive and significant effect across all biases except individualism. The correlation of income to all cultural biases was consistently negative. Only education had a negative and significant effect across all biases. Women were found to adhere to egalitarianism, whereas men adhered to individualism and hierarchism. Thus, grid-group cultural theory was found to be appropriate in the Chinese context, with gender, age, education, and income evidently accounting for cultural biases. Relationships between environmental attitudes and cultural biases conformed with the hypothesis advanced by grid-group cultural theory. This finding may be of value in explaining individuals' environmental attitudes and facilitating the development and implementation of natural resource-management policies. Precipitation is an important component of global water and energy transport and a major aspect of climate change. Due to the scarcity of meteorological observations, the precipitation climate over Tibet has been insufficiently documented. In this study, the distribution of precipitation during the rainy season over Tibet from 1980 to 2013 is described on monthly to annual time scales with meteorological observations. Furthermore, four precipitation products are compared to observations over Tibet. These datasets include products derived from the Asian Precipitation-Highly-Resolved Observational Data (APHRO), the Global Precipitation Climatology Centre (GPCC), the University of Delaware (UDel), and the China Meteorological Administration (CMA). The error, relative error, standard deviation, root-mean-square error, correlations and trends between these products for the same period are analyzed with in situ precipitation during the rainy season from May to September. The results indicate that these datasets can broadly capture the temporal and spatial precipitation distribution over Tibet. The precipitation gradually increases from northwest to southeast. The spatial precipitation in GPCC and CMA are similar and positively correlated to observations. Areas with the largest deviations are located in southwestern Tibet along the Himalayas. The APHRO product underestimates, while the UDel, GPCC, and CMA datasets overestimates precipitation on the basis of monthly and inter-annual variation. The biases in GPCC and CMA are smaller than those in APHRO and UDel with a mean relative error lower than 10% during the same periods. The linear trend of precipitation indicates that the increase in precipitation has accelerated extensively during the last 30 years in most regions of Tibet. The CMA generally achieves the best performance of these four precipitation products. Data uncertainty in Tibet might be caused by the low density of stations, complex topography between the grid points and stations, and the interpolation methods, which can also produce an obvious difference between the gridded data and observations. An automatic weather station (AWS) has been installed at the Qomolangma Station of the China Academy of Sciences (QOMS) since 2005, in a northern Himalayan valley near Mount Everest, with an altitude of 4,270 m a.s.l.. Nine years of meteorological records (2006–2014) from the automatic weather station (AWS) were analyzed in this study, aiming to understand the response of local weather to the seasonal transition on the northern slopes of Mount Everest, with consideration of the movement of the subtropical jet (STJ) and the onset of the Indian Summer Monsoon (ISM). We found: (1) Both the synoptic circulation and the orography have a profound influence on the local weather, especially the local circulation. (2) Southwesterly (SW) and southeasterly (SE) winds prevail alternately at QOMS in the afternoon through the year. The SW wind was driven by the STJ during the non-monsoon months, while the SE was induced by the trans-Himalayan flow through the Arun Valley, a major valley to the east of Mount Everest, under a background of weak westerly winds aloft. (3) The response of air temperature (T) and specific humidity (q) to the monsoon onset is not as marked as that of the nearsurface winds. The q increases gradually and reaches a maximum in July when the rainy period begins. (4) The alternation between the SW wind at QOMS and the afternoon SE wind in the pre-monsoon season signals the northward shift of the STJ and imminent monsoon onset. The average interval between these two events is 14 days. The high mountains of Hindu-Kush Karakoram and Himalaya (HKKH) contain a large volume of snow and ice, which are the primary sources of water for the entire mountainous population of HKKH. Thus, knowledge of these available resources is very important in relation to their sustainable use. A Modified Positive Degree Day Model was used to simulate daily discharge with the contribution of snow and ice melt from the Shigar River Basin, Central Karakoram, Pakistan. The basin covers an area of 6,921 km2 with an elevation range of 2,204 to 8,611 m a.s.l.. Forty percent of the total area is glaciated among which 20% is covered by debris and remaining 80% by clean ice and permanent snow. To simulate daily discharge, the entire basin was divided into 26 altitude belts. Remotely sensed land cover types are derived by classifying Landsat images of 2009. Daily temperature and precipitation from Skardu meteorological station is used to calibrate the glacio-hydrological model as an input variable after correlating data with the Shigar station data (r=0.88). Local temperature lapse rate of 0.0075 ℃/m is used. 2 ℃ critical temperature is used to separate rain and snow from precipitation. The model is calibrated for 1988~1991 and validated for 1992~1997. The model shows a good Nash-Sutcliffe efficiency and volume difference in calibration (0.86% and 0.90%) and validation (0.78% and 6.85%). Contribution of snow and ice melt in discharge is 32.37% in calibration period and 33.01% is validation period. The model is also used to predict future hydrological regime up to 2099 by using CORDEX South Asia RCM considering RCP4.5 and RCP8.5 climate scenarios. Predicted future snow and ice melt contributions in both RCP4.5 and RCP8.5 are 36% and 37%, respectively. Temperature seems to be more sensitive as compared to other input variables, which is why the contribution of snow and ice in discharge varies significantly throughout the whole century. Grain-size class-Std (GSCStd) and Grain-size class-dD (GSCdD) methods are simple statistical approaches for classifying bulk grain-size distributions (GSDs) into grain-size fractions. Although these two methods were developed based on similar statistical principles, the classification difference between these two methods has not been analyzed. In this study, GSCStd and GSCdD methods are conducted in thirteen grain-size data sequences to examine the applicability for identifying grain size fractions. Results show that, application of the GSCStd method is equivalent to that of the GSCdD method in identifying finer grain-size fractions, and the difference between the two methods mainly comes from the identification of coarse grain-size fractions. Thus, finer grain-size fractions are recommended for use in research of surface aeolian and paleo-aeolian sediments. In addition, our results do not completely agree with previous studies, coarser grain-size fractions in our case suggest that the GSCdD method may not be more applicable than the GSCStd method. This work presents a reference system overview to improve the efficiency of biological improvement of saline-alkali soil developed during the last thirty years, ranging from connotation, general methods and species, soil desalination, soil structure, soil organic content, microbial flora, enzyme activity, yield and economic benefits. The reference system presented is divided into three main groups: suitable varieties, suitable cultivation measures, and a comprehensive evaluation system. There has been a lot of research on biological improvement of saline alkali soil, but these studies are very fragmented and lack a comprehensive standard system. Also, there is a lack of practical significance, particularly with regard to optimal species, densities and times of sowing for particular regions. On the other hand, the corresponding cultivation measure is very important. Therefore, a reference system plays an important role to the effect of biological improvement of saline alkali soil. The Brassicaceae species Braya humilis shows broad adaptation to different climatic zones and latitudes. However, the molecular adaptation mechanism of B. humilis is poorly understood. In China, B. humilis is mainly distributed on the Qinghai-Tibetan Plateau (QTP) and in the adjacent arid region. Previous transcriptome analysis of B. humilis has revealed that 39 salt and osmotic stress response genes are subjected to purifying selection during its speciation. To further explore the adaptation mechanism of B. humilis to an arid environment, OrthoMCL program was employed in this study and 6,268 pairs of orthologous gene pairs with high confidence were obtained betweenB. humilis and Arabidopsis thaliana. A comparative evolutionary analysis based on nonsynonymous to synonymous substitution ratio (Ka/Ks) was then conducted. There were 64 pairs exhibiting a Ka/Ks ratio more than 0.5 and among which, three instrumental candidate genes, T2_20487, T2_22576, and T2_13757, were identified with strong selection signatures (Ka/Ks >1). The corresponding A. thaliana orthologs are double-stranded RNA-binding domain protein, MADS-box family protein, and NADH-dehydrogenase subunit 6, which is encoded by mitochondria genome. This report not only demonstrates the adaptation contribution of fast evolving nuclear genes, but also highlights the potential adaptive value of mitochondria gene to the speciation and adaptation of B. humilis toward the extreme environment in an arid region. Both yield and quality of Lanzhou lily (Lilium davidii var. unicolor) are seriously affected by continuous cropping. We attempted to understand the effects of intercropping on the obstacles associated with continuous cropping of Lanzhou lily (Lilium davidii var. unicolor). The changes of rhizosphere microbial biomass and diversity in interplanting and monoculturing systems were studied by using the Illumina HiSeq sequencing technique. The contents and composition of lily root exudates were measured by gas chromatography–mass spectrometer (GC–MS). The intercropping results of Lanzhou lily showed: (1) There was no difference in the composition of the rhizosphere soil microbes at the phylum level, but the relative abundance of the microbes decreased; and the relative abundance of harmful fungi such as Fusarium sp. increased. The relative abundance of Pleosporales sp. and other beneficial bacteria were reduced. After OTU (operational taxonomic unit) clustering, there were some beneficial bacteria, such as Chaetomium sp., in the lily rhizosphere soil in the interplanting system that had not existed in the single-cropping system. We did not find harmful bacteria that had existed in the single-cropping systm in the rhizosphere soil of interplanting system. The above results indicated that the changes of relative abundance of soil fungi and bacteria in lily rhizosphere soil was not conducive to improving the ecological structure of rhizosphere soil microbes. At the same time, the microbial composition change is very complex—beneficial and yet inadequate at the same time. (2) Root exudates provide a matrix for the growth of microorganisms. Combined with the detection of root exudates, the decrease in the composition of the root exudates of the lily was probably the reason for the decrease of the relative abundance of microbes after intercropping. At the same time, the decrease of the relative content of phenolic compounds, which inhibit the growth of microorganisms, did not increase the relative content of rhizosphere soil microorganisms. Changes in amino acids and total sugars may be responsible for the growth of Fusarium sp.. The results showed that the intercropping pattern did not noticeably alleviate the obstacle to continuous cropping of Lanzhou lily, and the change of microbial biomass and diversity was even unfavorable. However, the emergence of some beneficial bacteria, the disappearance of harmful fungi, and other changes with intercropping are in favor of alleviation of obstacles to continuous cropping of Lanzhou lily. Despite the enormous applications of photosynthesis in global carbon budget and food security, photosynthesis research has not been adequately explored as a research focus in Nigeria. Previous works on C3 and C4 plants in Nigeria were mainly on the use of anatomical characteristics to delimit plant species into their respective pathways, with no attention being paid to its applications. In this review, past and present knowledge gaps in this area of study are elucidated. Information used in this review were sourced from referred research articles and books in reputable journals. The results revealed that C3 and C4 plants are distributed among 21 genera and 11 families in Nigeria. In addition there is dearth of informatio such that only three genera have been classified based on diverse photosynthetic pathways with no information found on the physiological and biochemical characterization of these genera. Moreover, further research is also suggested for tackling new challenges in the area of food productivity and climate change. The Qinghai-Tibet Plateau has developed into a vast fortress-like structure that has recently presented a barrier limiting the egress of moisture-bearing air masses. Lower sea levels also affected the climate. This paper examines their effects on the current evidence for the timing of past glaciations, and the development and evolution of permafrost. There are two theories regarding glaciation on the Qinghai-Tibet Plateau (QTP). Kuhle suggested that there was a major, unified ice-cap during the Last Glacial Maximum (LGM), whereas major Chinese glaciologists and others have not found or verified reliable evidence for this per se. There have been limited glaciations during the last 1.1 Ma B.P. but with increasing dominance of permafrost including both primary and secondary tessellons infilled with rock, sand or loess. The East Asia Monsoon was absent in this area during the main LGM, starting at >30 ka B.P. on the plateau, with sufficient precipitation reappearing about 19 ka B.P. to produce ice-wedges. A weak Megathermal event took place between 8.5 and 6.0 ka B.P., followed by Neoglacial events exhibiting peak cold at 5.3-4.7 ka, 3.1-1.5 ka, and the Little Ice Age (LIA) after 0.7 ka. Subsequently, mean annual air temperature has increased by 4℃. In recent years, land use and land cover have under gone tremendous change on the Loess Plateau, leading to temporal and spatial variation over many ecological factors, such as carbon storage. Based on four series of land-use data from remote-sensing imaging, spatiotemporal changes of land-use types and volume changes were analyzed. Combined with carbon-stock-assessment modules of the InVEST (integrated valuation ecosystem services and tradeoffs) model, the carbon-storage change was estimated and analyzed at the subcounty and subbasin scales. The results show that (1) cultivated land and grassland area decreased, while woodland and urban land area increased in northern Shaanxi; (2) the average carbon storage in Huangling County and the Beiluo River Basin is the largest, while that of Yuyang County and the Xinshui River Basin is the minimum, and that of Wuqi County showed the greatest growth; (3) carbon storage in the study area showed a definite decrease in 2000, but in general has increased from 1995 to 2010; (4) carbon-storage figures of subbasins and counties are all restricted by the natural status and land-use landscape of the whole study area. From the results, it can be seen that the effect of ecological policies is remarkable. This study has important implications for the rational planning of land use, adjustment of the ecosystem carbon cycle, and related policies. An underlying wetland surface comprises soil, water and vegetation and is sensitive to local climate change. Analysis of the degree of coupling between wetlands and the atmosphere and a quantitative assessment of how environmental factors influence latent heat flux have considerable scientific significance. Using data from observational tests of the Maduo Observatory of Climate and Environment of the Northwest Institute of Eco-Environment and Resource, CAS, from June 1 to August 31, 2014, this study analysed the time-varying characteristics and causes of the degree of coupling (Ω factor) between alpine wetlands underlying surface and the atmosphere and quantitatively calculated the influences of different environmental factors (solar radiation and vapour pressure deficit) on latent heat flux. The results were as follows: (1) Due to diurnal variations of solar radiation and wind speed, a trend developed where diurnal variations of the Ω factor were small in the morning and large in the evening. Due to the vegetation growing cycle, seasonal variations of the Ω factor present a reverse "U" trend. These trends are similar to the diurnal and seasonal variations of the absolute control exercised by solar radiation over latent heat flux. This conforms to the Omega Theory. (2) The values for average absolute atmospheric factor (surface factor or total) control exercised by solar radiation and water vapour pressure are 0.20 (0.02 or 0.22) and 0.005 (?0.07 or ?0.06) W/(m2·Pa), respectively. Generally speaking, solar radiation and water vapour pressure deficit exert opposite forces on latent heat flux. (3) At the underlying alpine wetland surface, solar radiation primarily influences latent heat flux through its direct effects (atmospheric factor controls). Water vapour pressure deficit primarily influences latent heat flux through its indirect effects (surface factor controls) on changing the surface resistance. (4) The average Ω factor in the underlying alpine wetland surface is high during the vegetation growing season, with a value of 0.38, and the degree of coupling between alpine wetland surface and atmosphere system is low. The actual measurements agree with the Omega Theory. The latent heat flux is mainly influenced by solar radiation. High seismic activity, difficult permafrost and hydrogeological conditions of South Yakutia (Russia) complicate building and exploitation of engineering construction and require additional detailed and complex research. These conditions are evident within two sites. The first site is located in the middle reach of the Duray River, where it is crossed by the highway Lena. The second site is located on the right side of the Chulmakan River Valley, 400 meters to the east of the ESPO oil pipeline route. Seismic events, occurring four years ago, led to landslides in the mentioned sites. Formation of joint fissures on slopes assisted drainage of aquifers of free water exchange zone. It is worth noting that at the Duray River site, 59 cm of active soil slumping movement towards the roadbed has occurred within two summer months. Such a process is complicated by cryogenic disintegration of rocks in the base of the landslide body due to groundwater discharge and icing formation in winter. An overall greening over the Tibetan Plateau (TP) in recent decades has been established through analyses of remotely sensed Normalized Difference Vegetation Index (NDVI), though the regional pattern of the changes and associated drivers remain to be explored. This study used a satellite Leaf Area Index (LAI) dataset (the GLASS LAI dataset) and examined vegetation changes in humid and arid regions of the TP during 1982–2012. Based on distributions of the major vegetation types, the TP was divided roughly into a humid southeastern region dominated by meadow and a dry northwestern region covered mainly by steppe. It was found that the dividing line between the two regions corresponded well with the lines of mean annual precipitation of 400 mm and the mean LAI of 0.3. LAI=0.3 was subsequently used as a threshold for investigating vegetation type changes at the interanual and decadal time scales: if LAI increased from less than 0.3 to greater than 0.3 from one time period to the next, it was regarded as a change from steppe to meadow, and vice versa. The analysis shows that changes in vegetation types occurred primarily around the dividing line of the two regions, with clear growth (reduction) of the area covered by meadow (steppe), in consistency with the findings from using another independent satellite product. Surface air temperature and precipitation (diurnal temperature range) appeared to contribute positively (negatively) to this change though climate variables displayed varying correlation with LAI for different time periods and different regions. A pile foundation is commonly adopted in geotechnical engineering to support structures, and its application has been extended to cold-regions engineering. In past decades, a host of scholars investigated pile behaviors and proposed design guidelines for seasonally frozen ground or permafrost. This paper reviews the research with respect to pile performance and engineering practice in cold regions, organized as follows: (1) creep tests and bearing capacity, (2) frost-jacking hazards, (3) laterally loaded piles, (4) dynamic responses, (5) refreezing due to concrete-hydration heat, and (6) improved countermeasures and design methods. We first summarize previous research and recent progress; then, predict the development trend of pile foundations in cold regions and recommend further research. Understanding the effect of biodiversity on ecosystem function is critical to promoting the sustainability of ecosystems and species conservation in natural ecosystems. We observed species composition, species richness and aboveground biomass, and simulated the competitive assemblages in a natural grassland ecosystem of China, aiming to test some assumptions and predictions about biodiversity–stability relationships. Our results show that aboveground productivity and temporal stability increased significantly with increasing species richness, and via a combination of overyielding, species asynchrony, and portfolio effects. Species interactions resulted in overyielding caused by trait-independent complementarity, and were not offset by a negative dominance effect and trait-dependent complementarity effect. Therefore, the mechanisms underlying the biodiversity effect shifted from the selection effect to the complementarity effect as diversity increased, and both effects were coexisted but the complementarity effect represent a mechanism that facilitates long term species coexistence in a natural grassland ecosystem of China. Khaya belongs to the family Meliaceae. In Nigeria the genus is represented by three species viz; K. senegalensis A. Juss., K. grandifoliola C. DC. and K. ivorensis A. Chev. Comparative foliar anatomy of the three Khaya species was carried out to identify and describe distinctive anatomical characters that could possibly be used to delimit the three taxa. Transverse section, epidermal peels and cleared leaves of these three species were made. Characteristic similarity and disparity in the tissues arrangement as well as cell inclusions were noted for description and delimitation. The three Khaya species studied had essentially the same anatomical features, e.g., venation pattern having open polygonal areoles and the veins terminals biforkated. However, there were characters that seem to be species specific, e.g., vien termination number and areole width. The leaf epidermal studies of the three species revealed similarities in stomatal type which are generally staurocytic, epidermal cells and undulating anticlinal cell walls but stomata density varied. Hexacytic stomata is only observed in the abaxial surface of K. grandifoliola which distinguished this species from the others. The leaf petiole shape of the three species are round and difficult to distinguish into adaxial and abaxial surfaces. The cuticle is striated, vascular bundles are heart shape, conjoint, concentric and amphivasal, but are different in epidermal and collenchyma cell layer numbers. The leaf transverse sections of the three Khaya species studied have conjoint, concentric and amphicribral bundles while the leaf cuticle of K. senegalensis and K. grandifoliola are striated but that of Khaya ivorensis is non-striated. To explore the characteristics of plant calcium (Ca) fraction, we analyzed 91 plant species in the Ningxia Habahu National Nature Reserve in Yanchi County of Ningxia and 84 plant species in Zhenglan Banner of Inner Mongolia. Results show that, for the two regions, there is no significant difference between Ca fraction for the same growth type, and between water soluble Ca content or between hydrochloric acid soluble Ca content for plants of the same ecosystem and between hydrochloric acid soluble Ca content for plants of the same family. In similar vegetation zones, there is a significant difference among hydrochloric acid soluble Ca content for different growth types in Yanchi County and Zhenglan Banner, which was the highest for annual herbs and the lowest for perennial herbs. There is a significant difference between acetic acid soluble Ca content and between hydrochloric acid soluble Ca content for sandy land and grassland ecosystems in Yanchi County. There is a significant difference among the same Ca fraction of different families in the same region. Thus, the characteristics of plant Ca fraction are results of long-term adaptation to the environment. Glacier mass balance is a key component of glacier monitoring programs. Information on the mass balance of Sawir Mountains is poor due to a dearth of in-situ measurements. This paper introduces the applicability of an ultra-long-range terrestrial laser scanner (TLS) to monitor the mass balance of Muz Taw Glacier, Sawir Mountains, China. The Riegl VZ®-6000 TLS is exceptionally well-suited for measuring snowy and icy terrain. Here, we use TLS to create repeated high spatiotemporal resolution DEMs, focusing on the annual mass balance (June 2, 2015 to July 25, 2016). According to TLS-derived high spatial resolution point clouds, the front variation (glacier retreat) of Muz Taw Glacier was 9.3 m. The mean geodetic elevation change was 4.55 m at the ablation area. By comparing with glaciological measurements, the glaciological elevation change of individual stakes and the TLS-derived geodetic elevation change of corresponding points matched closely, and the calculated balance was -3.864±0.378 m w.e.. This data indicates that TLS provides accurate results and is therefore suitable to monitor mass balance evolution of Muz Taw Glacier. 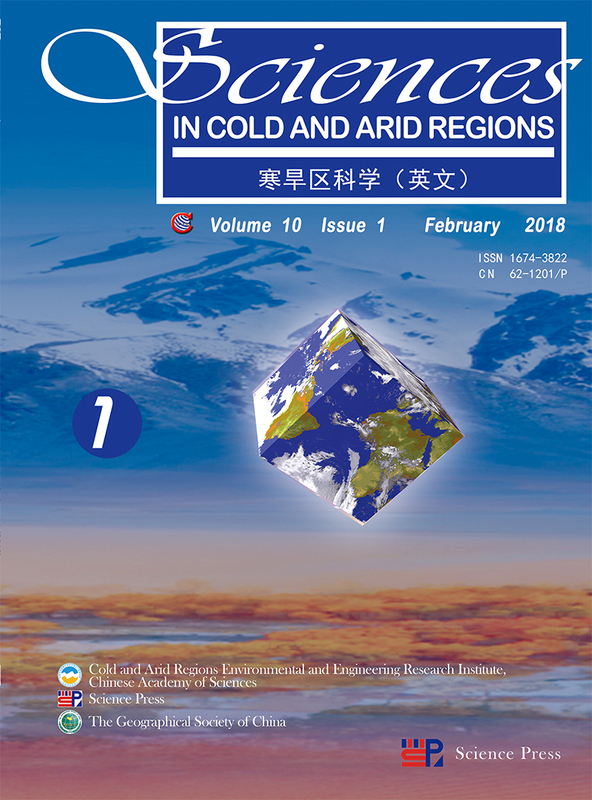 The report presents an analysis of a unique data set demonstrating the influence of geocryological processes on the 75-km Chara-China Railway track (northern Transbaikal region). The originality of these investigations lies in the study of the influence of natural processes on the road in the absence of any repair works or protective and compensating measures for a long period of time (1998~2014). These conditions allowed assessment of the actual damage to the railroad. The cluster planting pattern (3 plants per hole) for cotton (Gossypium hirsutum L.) may increase economic yield over those of the traditional planting pattern (1 plant per hole) in arid regions of China. This increase in yield depends on either increased biomass production or greater partitioning to fruit. This study was conducted to determine whether differences in biomass accumulation or partitioning to reproductive growth contributed to higher yield in the cluster planting pattern compared with the traditional one. Growth parameters, biomass accumulation, crop growth rate and partitioning between cluster planting pattern and traditional planting pattern was compared in northwest of China. The biomass production and partitioning in cluster planting plot was higher than in traditional planting one. Biomass accumulation was faster early in the clustered treatment, and it was also higher at harvest time. Total dry matter production per unit area was significantly higher than in the traditional planting. On a per plant basis, dry matter accumulation was faster and total biomass production was significantly higher in the cluster planting pattern. Numbers of sympodia and boll sizes were also larger, indicating that facilitation among plants was promoting crop yield. The increase in yield in the cluster planting treatment occurred through increased partitioning of dry matter to fruits than in the traditional planting pattern, resulting in more bolls and increased lint yield in arid regions. Differential Interferometric Synthetic Aperture Radar (D-InSAR) has been widely used to measure surface deformation over the Tibetan Plateau. However, the accuracy and applicability of the D-InSAR method are not well estimated due to the lack of in-situ validation. In this paper, we mapped the seasonal and long-term displacement of Tanggula (TGL) and Liangdaohe (LDH) permafrost regions with a stack of Sentinel-1 acquisitions using the Small Baseline Subset InSAR (SBAS-InSAR) method. In the TGL region, with its dry soils and sparse vegetation, the InSAR-derived surface-deformation trend was consistent with ground-based leveling results; long-term changes of the active layer showed a settlement rate of around 1 to 3 mm/a due to the melting of ground ice, indicating a degrading permafrost in this area. Around half of the deformation was picked up on monitoring, in contrast with in-situ measurements in LDH, implying that the D-InSAR method remarkably underestimated the surface-deformation. This phenomenon may be induced by the large soil-water content, high vegetation coverage, or a combination of these two factors in this region. This study demonstrates that surface deformation could be mapped accurately for a specific region with Sentinel-1 C-band data, such as in the TGL region. Moreover, although the D-InSAR technology provides an efficient solution for broad surface-deformation monitoring in permafrost regions, it shows a poor performance in the region with high soil-water content and dense vegetation coverage. Fencing is the most common land-management practice to protect grassland degradation from livestock overgrazing on the Tibetan Plateau. However, it is unclear whether fencing reduces CO2, CH4, and N2O emission. Here, we selected four vegetation types of alpine meadow (graminoid, shrub, forb, and sparse vegetation) to determine fencing effects on ecosystem respiration (Re), CH4, and N2O fluxes during the growing season. Despite increased average monthly ecosystem respiration (Re) for fenced graminoid vegetation at the end of the growing season, there was no significant difference between grazing and fencing across all vegetation types. Fencing significantly reduced average CH4 uptake by about 50% in 2008 only for forb vegetation and increased average N2O release for graminoid vegetation by 38% and 48% in 2008 and 2009, respectively. Temperature, moisture, total organic carbon, C/N, nitrate, ammonia, and/or bulk density of soil, as well as above- and belowground biomass, explained 19%~71% and 6%~33% of variation in daily and average Re and CH4 fluxes across all vegetation types, while soil-bulk density explained 27% of variation in average N2O fluxes. Stepwise regression showed that soil temperature and soil moisture controlled average Re, while soil moisture and bulk density controlled average CH4 fluxes. These results indicate that abiotic factors control Re, CH4, and N2O fluxes; and grazing exclusion has little effect on reducing their emission—implying that climatic change rather than grazing may have a more important influence on the budgets of Re and CH4 for the Tibetan alpine meadow during the growing season. CO2 and temperature records at Mauna Loa, Hawaii, and other observation stations show that the correlation between CO2 and temperature is not significant. These stations are located away from big cities, and in various latitudes and hemispheres. But the correlation is significant in global mean data. Over the last five decades, CO2 has grown at an accelerating rate with no corresponding rise in temperature in the stations. This discrepancy indicates that CO2 probably is not the driving force of temperature change globally but only locally (mainly in big cities). We suggest that the Earth's atmospheric concentration of CO2 is too low to drive global temperature change. Our empirical perception of the global warming record is due to the urban heat island effect:temperature rises in areas with rising population density and rising industrial activity. This effect mainly occurs in the areas with high population and intense human activities, and is not representative of global warming. Regions far from cities, such as the Mauna Loa highland, show no evident warming trend. The global monthly mean temperature calculated by record data, widely used by academic researchers, shows R2=0.765, a high degree of correlation with CO2. However, the R2 shows much less significance (mean R2=0.024) if calculated by each record for 188 selected stations over the world. This test suggests that the inflated high correlation between CO2 and temperature (mean R2=0.765-0.024=0.741) used in reports from the Intergovernmental Panel on Climate Change (IPCC) was very likely produced during data correction and processing. This untrue global monthly mean temperature has created a picture:human emission drives global warming. The sustainability of ecosystem restoration of refuse dumps in open-pit coal mines depends on plant species selection, their configuration, and the optimal usage of water resources. This study is based on field experiments in the northern refuse dump of the Heidaigou open-pit coal mine in Inner Mongolia of China established in 1995. Eight plant configurations, including trees, shrubs, grasses, and their combinations, as well as the adjacent community of natural vegetation, were selected. The succession of the revegetated plants, soil water storage, the spatiotemporal distribution of plant water deficits degree and its compensation degree were also studied. Results indicated that the vegetation cover (shrubs and herbaceous cover), richness, abundance, soil nutrients (soil organic matter, N and P), and biological soil crust coverage on the soil surface are significantly influenced by the vegetation configurations. The average soil water storage values in the shrub+grass and grass communities throughout the growing season are 208.69 mm and 206.55 mm, which are the closest to that of in the natural vegetation community (215.87 mm). Plant water deficits degree in the grass and shrub+grass communities were the lowest, but the degrees of water deficit compensation in these configuration were larger than those of the other vegetation configurations. Differences in plant water deficit degree and water compensation among the different configurations were significant (P<0.05). Plant water deficit degrees were predominantly minimal on the surface, increased with increasing soil depth, and remained stable at 80 cm soil depth. The soil moisture compensation in the natural vegetation, shrub+grass, and grass communities changed at 10%, while that in other vegetation communities changed between 20% and 40%. Overall, we conclude that the shrub+grass and grass configuration modes are the optimal vegetation restoration models in terms of ecohydrology for future ecological engineering projects.